Many of us do enjoy a tipple. I am proud to say our first attempt at wine making was not half bad and we certainly did not stick to the rules. I imagine if we had, how even more delicious our Pomegranate Wine would have been! So if you are inclined to consider making some wine, then read ahead…it’s so easy that you will want to do it, just to say you have! There is an easy way to make this and then there is the really difficult way. There is a cheap way to make this and then there is an expensive way too! So firstly, let me show you the choices. 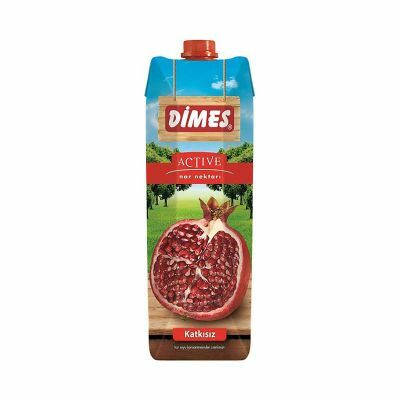 Go buy 10 litres of UNSWEETENED 100% pure pomegranate juice and start by opening the cartons up. (This is the easy and the cheap way! At around 50c a litre ( 3,45TL ) it doesn’t get much cheaper than that. Or you do what my friends did… the easy but very expensive way. They visited the market stall selling fresh juices and asked the guy if they could come back the following day and he would have 10 litres ready pressed for them. They came back the next day and he still had 3 litres to go. The vendor was shocked how hard it was to make so much using this machine along with my friends. It looks easy enough until you start trying to turn out vast quantities en masse. They had to go away and come back that evening. And costing it out per glass, how many glasses to the litre, boy did they pay the price! Then we have the difficult way. This is what we chose to do. OK initially it was cheap because our landlord gave us 10kg of pomegranates but as it produced very little juice, we then had to go buy another 20 kg of fruit to make it up to the full quantity. Oh Boy, Henrik’s been caught out wearing socks and sandals again!! It’s a messy process. You can guess why I am wearing black. Our friends Ellis and Ken are far more professional at this. They in fact taught me how to make this wine and gave me my first bit of wine yeast and an air lock to start off the process. Look at Ellis’ fancy gear! We didn’t go for the aril stomping option. We chose to blend it and sieve it. It proved to be messy and slow to say the least. I think we got a bit pedantic about the pith bits but it certainly did not have any bitterness when we finally got to bottle and taste it a few days ago. Ken and Elllis’ fancy wine production factory. 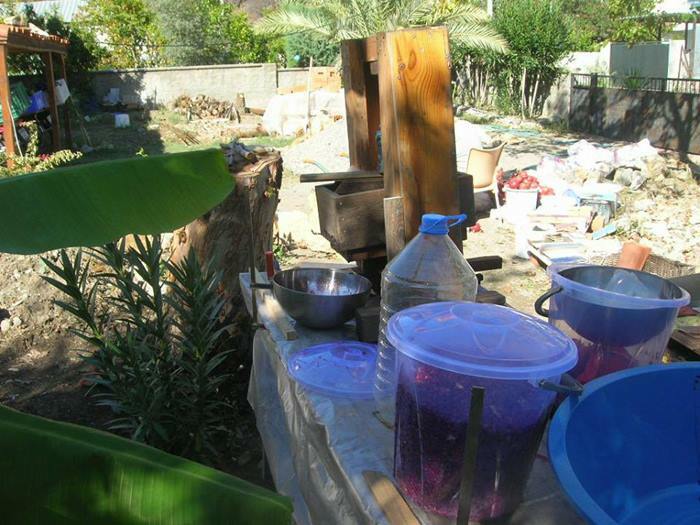 What I find shameful is that we took 2 and a half days to make 10 litres of wine and were exhausted by the whole process. 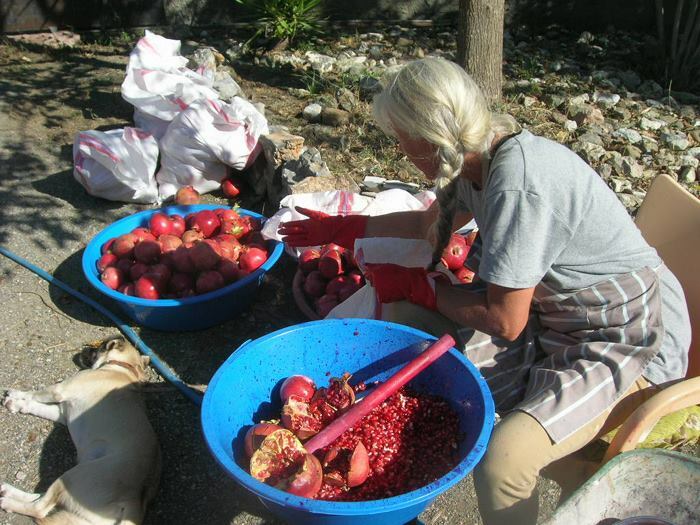 Ken and Ellis made 100 litres of pomegranate wine during the same time…. 10 x 10 litre flagons. Ken & Ellis’ Production Line. 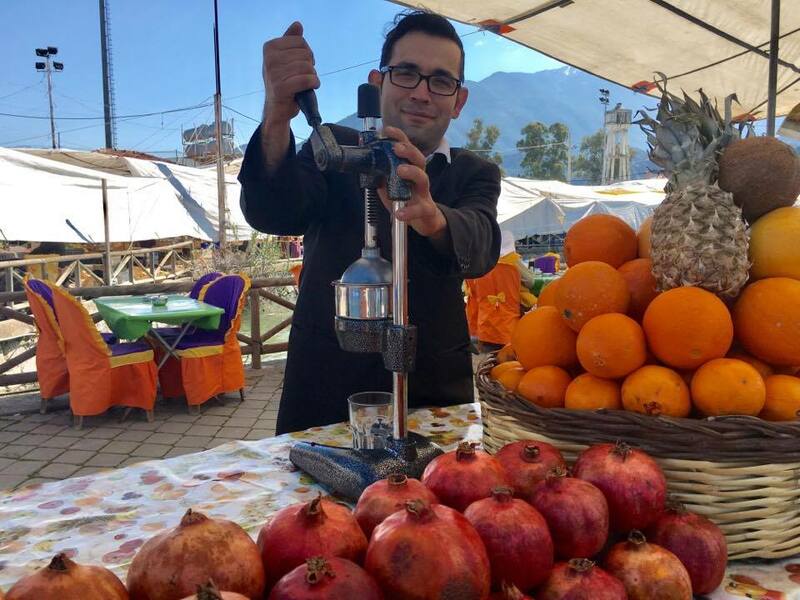 They are working on Pomegranate Wine and Orange Wine this year. 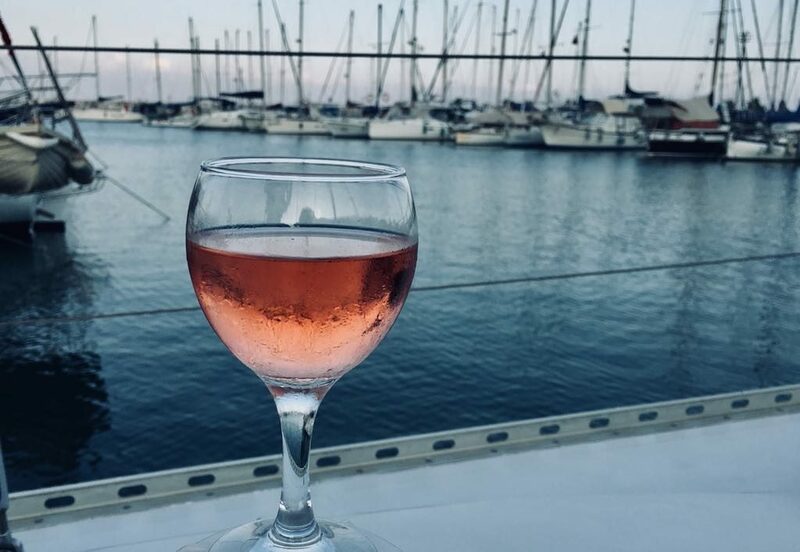 Two months after making our wine we moved out of our house and into our new boat. 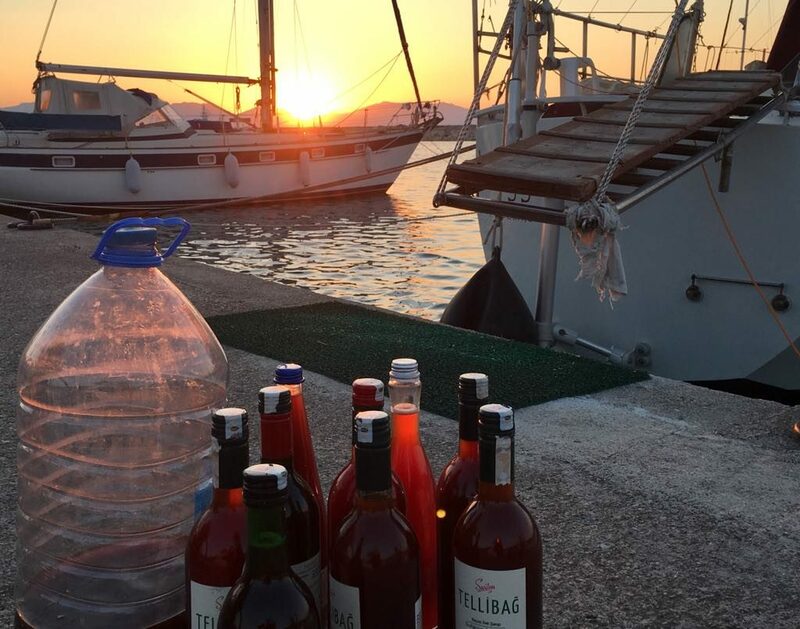 We had anticipated sailing in next to no time and so chose to store our 10 litre wine flagon in a depot. We did not realise how hot that depot would get. Up to 55C inside during the high summer. Our wine was heated excessively for over 2 months. So it truly is a surprise how drinkable it is! Just bottled and ready to be stored. The screw cap wine bottles are ideal. In case you would like to give it a go, here is the recipe that Ken gave me. 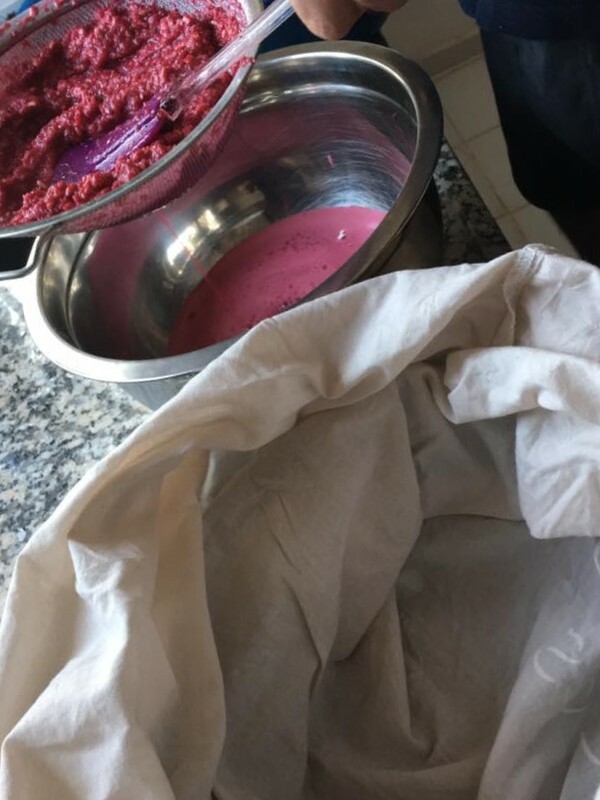 The good thing about this recipe is that the amount of juice needed to make 10 litres of wine has been reduced hugely compared to what we did. The recipe below is a proven winner, making the whole proces just so much easier. An airlock for the 10 litre bottle and some wine yeast which are both really easy to order over the internet. I ordered mine from N11 and it arrived within a few days. 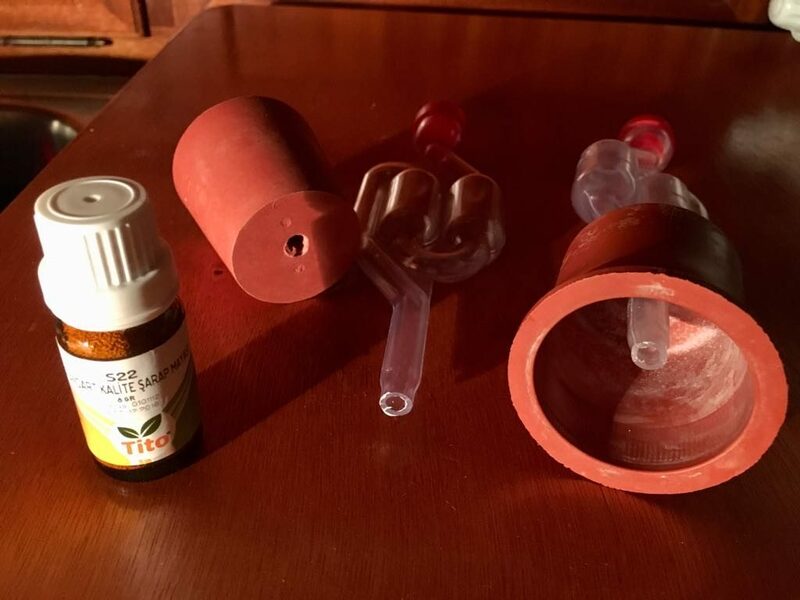 If you are ordering in Turkey then the airlock is called Vino Hava Kilidi (Büyük Tıpalı) and the wine yeast is Şarap Mayası. We bought 10 litre bottles of water and used those bottles. Ken and Ellis told me a very funny story of when they were making serious quantities of wine. Their only mode of transport is either bicycle or motorbike and so of course, they do not want to carry 60 litres of water home, especially when their tap water is delicious. So they crossed the river by ferry and went to the supermarket by motorbike whereupon they bought 6 bottles of water at a time and proceeded to take them outside and water the trees! You can imagine the look on peoples’ faces. 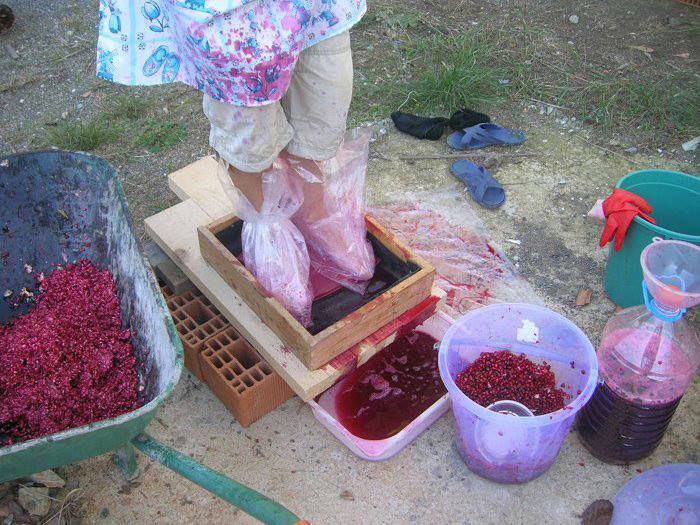 Place pomegranate juice in 10 litre bottle and add 3.5 litres water. Dissolve 1000 grams white sugar in 1 litre of water and add to the bottle. Place a teaspoonful of wine yeast in a small cup along with 1-2 teaspoons of white sugar and add about a tablespoon or two of warm water. When yeast starts to foam, place in 10 litre bottle and close plastic bottle by putting the airlock on the bottle where the plastic bottle cap usually goes. Add small amount of water to the airlock so that pressure from the bottle must move the water aside to allow the pressure to escape. When buying water locks be sure to get the correct size to fit a 10 litre water bottle top. Every month the wine must be racked - which means it must be transferred to another clean 10 litre water bottle and the waterlock attached again to the new bottle. (this is best done by using a piece of clear plastic hose about a centimetre in diameter and syphoning it from one to the other). 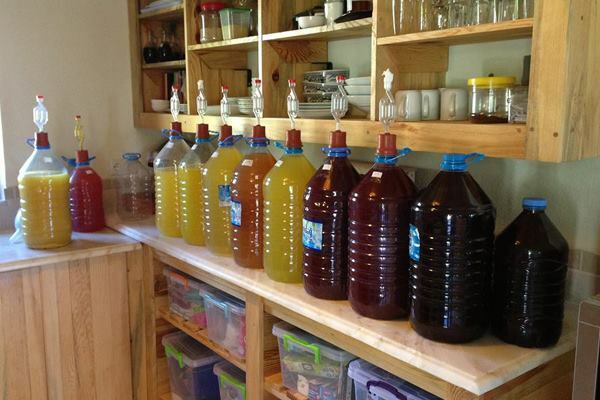 The wine should be racked every 30-45 days until there is no sludge at the bottom. The wine can be bottled once the racking is finished. Make sure to fill the bottles as high as possible, so there is little air below the cap / cork. Bottles should be kept out of direct sunlight. The wine is drinkable after about 3 months, but the longer it ages the better. A year produces a very good dry red wine. If you desire a wine with higher alcohol content, then buy a simple hydrometer to check the sugar levels and add more sugar to increase the alcohol content. Usually no more than about 500 additional grams. And for those who would like to make some Cherry Wine, below is the recipe that Ken and Ellis kindly gave me which is easy and close to failproof. 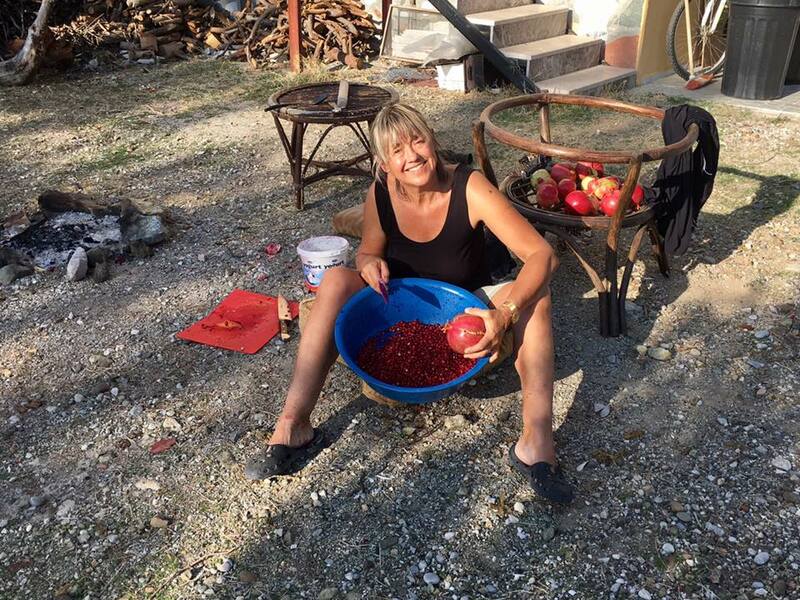 I tried their cherry wine when I visited their home in Dalyan. It was very good and I would recommend giving it a go. 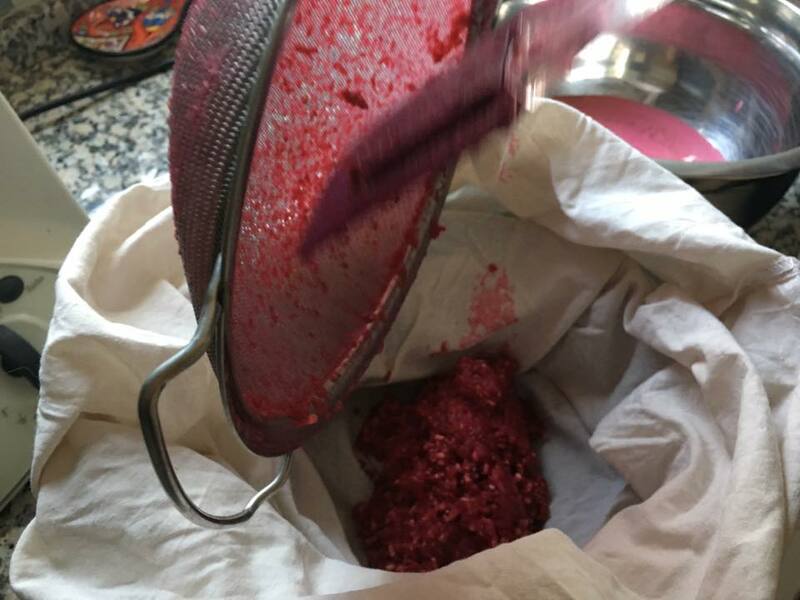 Pipping 15kg of cherries and juicing them is absolutely not where I want to go! Buying 4 litres of 100% pure juice with no added sugar from the supermarket is the place to start! If you are in Turkey, they recommend Jucy brand bought at Bim. Place cherry juice in 10 litre bottle and add 4 litres water. Mix in a big bowl or jug 1150 grams white sugar in 1 litre of water and add to the bottle. Place teaspoonful of wine yeast in a small cup along with 1-2 teaspoons of white sugar and add about a tablespoon or two of warm water. When yeast starts to foam, place into 10 litre bottle and close plastic bottle by putting the airlock on the bottle where the plastic bottle cap usually goes. Good luck and have fun! Hic! That was such a great post Lulu and I really enjoyed reading it. So informative, I must say I may be tempted to try it myself, but definitely using the easier route lol. Thanks so much for posting. My pleasure Angela. I hope you get a few good drops out of it! While waiting for my pomegranate wine, I remember that you mentioned your friends are working on orange wine: any chance of getting their recipe for this as well? I will contact them and see how I go. I will email it to you once they have sent it to me. That would be great Lulu. Also to you all the best for 2019! Hello Petra, my friend got back to me. 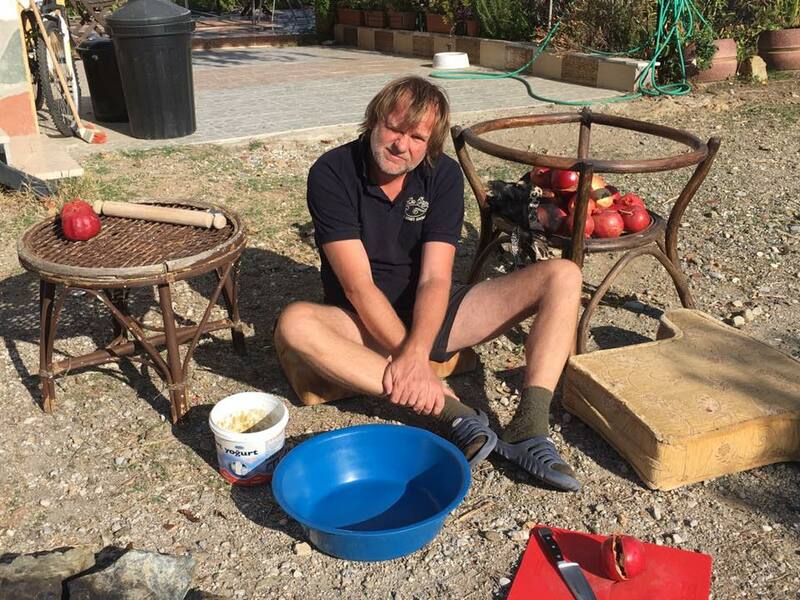 He lives in Dalyan, Turkey and they have had massive rain. They have very limited internet at the moment but once it is back on properly, he can send me his recipe for Mandarine Wine. He said he has had no success whatsoever with Orange Wine but his Mandarine Wine is a big hit. I probably confused them before. So, as soon as he has internet, we will have the recipe. Please be patient. Things don’t happen so quickly in Turkey! So we are looking forward to the mandarine wine recipe in its time.